While we enjoy playing the casino games provided at reputable web casinos, these operators didn’t create the games. Rather software developers created, and still create, the games we play and enjoy, while online casinos utilise the games created by sometimes one software developer and other times multiple software developers. Some have been around since the introduction of the Internet, while others have only just broken onto the scene. To truly understand what games you are going to enjoy the most you need to learn about the creators behind them. We list some of the best software developers in the industry and their features so you can know what you like best when you are looking to play your favourite casino games. We kick things off with one of the most popular and well known software developers in the iGaming industry. Microgaming has been around since the 1994. They are regulated by the advanced gaming jurisdiction the Isle of Man Gaming Supervisory Commission. They offer their games on both a downloadable platform and an instant play version, via the Quickfire platform, as well on the HTML5 platform so you can play their games on your smartphone or tablet, such as Apple, Android, and Windows devices. Casinos which utilise Microgaming generally only use this software provider but there are some that include Microgaming’s flash games in their catalogue. Net Entertainment is standing alongside Microgaming as the top leading software developers and were established in 1996, just two years after Microgaming. They are regulated by the UK Gambling Commission, which is one of the best regulatory bodies in the industry. They initially offered both flash and downloadable games, and while they still do they rarely advertise the latter as they their games tend to be preferred by flash casinos. You don’t generally find casinos that run solely on NetEnt, but that doesn’t mean you don’t get access to their whole catalogue. BetSoft isn’t as big as Microgaming or NetEnt but they have been around since 1999 and are still quite well known, especially for their line of 3D slots, which they have fittingly named Slots3. BetSoft is licensed by the the Alderney Gambling Control Commission, another top leading gaming jurisdiction. BetSoft offers downloadable games but their flash games, like NetEnt, seem to be preferred by online casinos. Additionally, when you locate BetSoft games you will most likely be looking at their games amongst games from other software providers. Besides their Slots3 range, which offers incredible animations to create not only a thrilling gaming experience but an entertaining one too, they also offer 3D poker, and to go with their theme they have called it Poker3. Here you are taken into an immersive world of an animated poker table where you can play by yourself or against players all around the world. NYX Gaming Group was founded in 1999 and the software developer is licensed by the Isle of Man Gaming Supervisory Commission, the same advanced gaming licenser as Microgaming. They have an Australian branch called NextGen Gaming and while they have an array of incredible games that are all on the flash platform, as of July 2015 it isn’t known whether or not Aussies players are blocked from playing their games as we have had a few incidents, including being geo-blocked from playing these games at Guts online casino. One of the younger software developers out of the pack, iSoftBet was established 2010 and is certified by a number of advanced jurisdictions including the Alderney Gambling Control Commission, the UK Gambling Commission, the Malta Gaming Authority, and Isle of Man. This is quite impressive as each jurisdiction has their own strict standards and meeting them all means the games are very high quality. They came out with 300 games when they emerged on the Internet and have continued to grow with an extensive online casino catalogue. Established in 2006, EvolutionGaming is another youngster and specialise primarily in live dealer titles. This does have a drawback as players can’t trial their games in demo or free play mode, meaning they have to make a deposit and wager real money before knowing whether they like EvolutionGaming gaming. But they actually offer high quality titles so it shouldn’t be too much of a drawback, and they are offered on flash and mobile platforms. Evolution Gaming is regulated by the Alderney Gambling Control Commission, and even have certification from eCOGRA, the third party auditing company which checks in regularly to review the games EvolutionGaming offers. Ezugi is the second youngest software developer out of our list here today. Ezugi was founded in 2013, but have incredibly made a name for themselves in the short period of time they have been around. Similar to EvolutionGaming, Ezugi specialise in live dealer titles and they are licensed by Curaçao e-gaming, another advanced gaming jurisdiction. Once again you can only play these in real money mode. 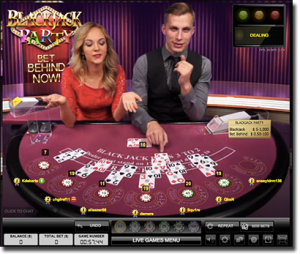 Their live dealer titles are available via instant play casinos and on smartphone and tablets via the HTML5 flash format. Instead of the standard titles that a lot of software developers offer in terms of live dealer games, Ezugi integrates unique features and that is perhaps the reason why Ezugi have become so well known in the iGaming industry in such a little amount of time. Leander Games was established in 2008 and are probably a little less known than some of the ones we have mentioned here and could be perhaps because they focus more so on traditional casino games, creating the standard table games that online casinos offer. However, they also have an innovative series which can make or break the software developer for players. 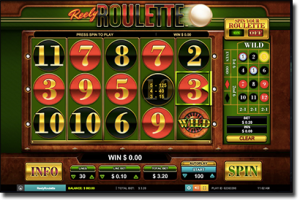 They are called the Reely series and integrate popular table games, such as roulette, in with a slot machine to create a hybrid game. They’re licensed by the Alderney Gaming Control Commission and offer games only on the flash interface and the HTML5 platform (compatible for iPhones and iPad, Android tablets and smartphones, etc). Rabcat was founded in 2001 but it wasn’t until their partnership with Microgaming in 2014 that they really took off. Which is a surprise since their pokies are quite incredible, but sometimes it takes a little name dropping to get started. They don’t have a huge catalogue, with around a dozen (and counting) slots and a handful of video poker titles. 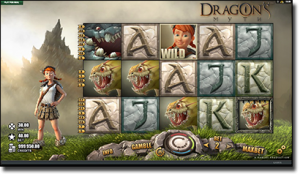 However, their pokies have some of the best graphics and features available and this has been proven by Microgaming’s willingness to roll out the games on their Quickfire platform. These guys are quite new in the iGaming industry but they do offer an interesting catalogue of games so we thought we would include them. 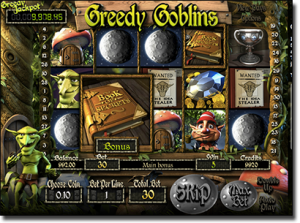 Established in 2014, they have quickly earned a solid reputation for unique slots. Interestingly, the company was founded by ex-Net Entertainment employees, so having people who have worked for the best could perhaps be why they have been so quickly noticed. They’re also licensed by the Malta Gaming Authority.